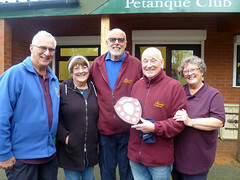 Membership of the English Petanque Association (EPA) runs from 1st January 2016 until the 31st December. You must have an EPA licence issued by the Mercia Petanque Association to play in certain regional events and all EPA national events. The winners and runners-up of the Doubles, Triples and Shooting competition are eligible to enter into the EPA Champion of Champions finals weekend to represent the region. 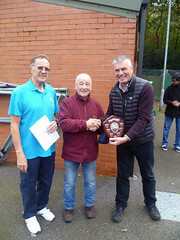 The Over 50’s Doubles winners and runners-up will represent the region at the EPA Champion of Champions Over 50’s Doubles final (Venues TBC). An EPA licence is required to play in any of the EPA’s other competitions and for those who are selected to play at International level. When applying for an EPA licence, please provide a passport sized photograph with your name and club clearly marked on its reverse side. The photograph will then be attached to your licence and embossed. Clubs and Independent* members (*members not belonging to a club) must join the Region based on their geographical location. Adults – members who are 18 years and older on the 31st December of the current year. Juniors – members under 18 years old on the 31st December of the current year. Club Registration – The fee for registering a club with our Association is £35. 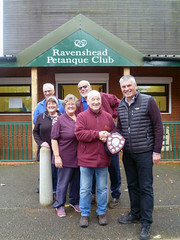 For the first year it is a requirement for registration that at least three adults are individual members of our Association to act as the club’s President/Chairman, Secretary and Treasurer. For subsequent years of registration a club shall have at least 6 registered members of the Association and all the officers and committee shall be members of the Association. Please note: you must submit a copy of your Club’s Constitution with the Club Registration form. To obtain or renew your individual membership: Click on the link below or contact the Mercia membership secretary, June Ricketts. Follow the instructions on the EPA site to Register. You should receive a receipt and then a temporary membership document via email attachments. Your licence will be sent to your club or to the Regional Membership Secretary.